12 Elements of a Great Blog | Your Voice, Inc.
in Blogging, Concise writing and Your Voice Inc.
. Tags: Blogging, blogs, great blogs, writing. Hmm…there is so much that makes a blog great that I am challenged to fit it all into 700 words or less. That is not to say you have to incorporate a lot of elements to create a great blog but there are so many easy, intuitive things you can do that I want to share them all with you. So no more preamble, let’s get to it. Be consistent with personality and voice. What do you feel passionate and knowledgeable about that you wish to share? How conversational do you want to be while still remaining professional? Your visitors should get a very good sense of your personality while they spend time with you online. Stay focused. The reader should be able to get a quick sense of what to expect from your blogs. If your posts are about random topics and rants, you will not keep a steady readership. Topics among blogs should vary to keep your reader interested but your overall blog site should have a clear theme. Identify your target audience. Who is your reader? Who is your ideal client? Write about topics that are important to them. Provide original content. Make sure you don’t just rehash what is already online in order to create a blog, speak from your own wisdom and experience. You can always add an additional tip or two from what you have read, but use it to enhance your content. Address your audience. Write for your reader, not at them. Use “you” more often than “I”. Blogging should not be a lecture, a keynote, or a monologue. Create scan-able formatting. Long paragraphs and big blocks of text turn visitors off. Instead work towards short introductory paragraphs, lists of tips, bullet points, action items, etc. and then finish with a quick round-up. If a particular blog does not lend itself well to lists, find a way to highlight key points or elements within the paragraphs that break up the text so that the reader can find the gems easily. Incorporate subheadings or separate the blog up into a series of posts rather than try to fit it all in one long blog. Invite a discussion. Your topic does not need to be controversial to create a buzz. Elicit comments and ask for feedback. Readers like to share their views but sometimes unless you create a clear call to action they may just read, enjoy and move on. Clearly ask for comments or opinions. Go back to your post and respond to their comments. Answer questions and thank people for engaging with you. Support others. Linking to other sites and blogs is a great search engine strategy but it can also be a wonderful way of adding even more value to your reader and supporting the efforts of your colleagues. For instance, Arielle Ford makes some great points about why (and how) authors should champion their competitors in a recent blog on The Huffington Post. Check it out. Limit Self-Promotion. It is certainly understandable if you want to share valuable content and then do a soft sales pitch for your services or products, but this should not be a regular occurrence. Edit…Edit…Edit. Reread your blog draft and cut unnecessary and irrelevant pieces. If your initial word count is 850, challenge yourself to get it down to 600. Your writing will improve and your readers will thank you for it. Write a great title. 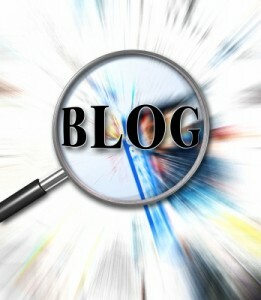 Make the title of your blog interesting, descriptive and accurate. It is fun to come up with clever headlines but if you are interested in the general public finding you sometimes you have to be simple and clear. Think in terms of the keywords someone might use in a search engine. Integrate pictures. Your blog will be more visually appealing and give a relevant clue to your readers about its content if you add photos. Look at Flickr for available photos and just make sure you link back to the original. What have I missed? Please share your wisdom! - Keeping the word count down. I usually post around 1,000 words. It looks like you recommend 700 or so? I’m going to try to cut my stuff down. - Add pics, videos etc to make it more visually appealing. I’m taking a blogging course and I’m learning a TON so hopefully I will continue to approve. Thanks for the great article! It’s great to hear from you! I am excited to hear about your key take-aways from your blogging course. If you ever want to be a guest blogger on Your Voice,Inc. I would welcome your insights. I really enjoyed reading your blog. You have such a gift for “breaking things down” into easy-to-understand language and concepts. I especially like your thought about inviting a discussion. This makes a blog so much more personal; like you are having a conversation with the person. Thank you for sharing this helpful material! Another great article on blogging. I shared this article with a friend. Thank you for sharing these 12 elements. They are straight forward and simplify blogging. I will share this with my social networking community. We don’t currently blog, and I have to be honest, that whole “world” is a little bit intimidating for me as a non-blogger. After reading your tips, I think I can get started when the time is right with little hesitation. 2 Getting Started with Blogging & Social Networking | Your Voice, Inc.